Home/Investigators and Research Centers/Investigators/Carol Coughlan, M.D. 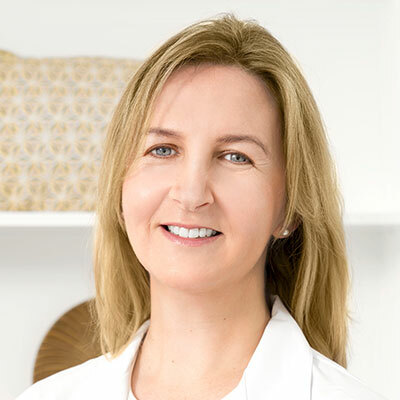 Dr Carol Coughlan MD, FRCOG, FRCPI is a Consultant Obstetrician and Gynaecologist and Subspecialist in Reproductive Medicine & Surgery with IVI Fertility Clinic, Dubai, UAE. Dr. Coughlan graduated from University College Cork, Ireland, in 1997. She commenced training in obstetrics and gynecology in 1998. She acquired her membership of the Royal College of Obstetricians & Gynaecologists in 2003. In 2008, Dr. Coughlan joined the team at the Assisted Conception Unit at the Jessop Wing in Sheffield as Clinical Research Fellow to pursue her interest in reproductive medicine. She was awarded Doctor of Medicine (MD) in July 2013 from the University of Sheffield. Her M.D. thesis focused on recurrent implantation failure and recurrent miscarriage. She endeavoured to clearly define recurrent implantation failure and formulate an evidence-based guideline for the investigation and management of this challenging condition. To explore possible aetiologies of recurrent implantation failure, studies were undertaken to investigate integrin expression in the endometrium and the role of sperm DNA integrity in both recurrent implantation failure and recurrent miscarriage. She determined the level of psychological stress experienced by these women using validated questionnaires. Four original studies were included in this thesis and the research findings were presented both nationally and internationally. Dr. Coughlan completed subspecialty training in reproductive medicine and surgery in 2012. She co-authored a scientific impact paper for the Royal College of Obstetricians & Gynaecologists entitled “Local endometrial trauma (endometrial scratch): A treatment strategy to improve Implantation rates” and this was published in 2016. Dr. Coughlan is a member of the editorial panel of EC Gynaecology and continues to pursue her research interests in recurrent implantation failure and recurrent miscarriage. Prior to joining IVI Clinic in the UAE she was Clinical Director of Rotunda IVF, the National Oncofertility Centre in Dublin City, Ireland. What to do when good-quality embryos repeatedly fail to implant. Best Pract Res Clin Obstet Gynaecol, 53:48-59, 2018. Psychological Stress and Reproductive Failure. Int J Obstet Gynaecol, 124 (2):143-7, 2014. Recurrent Implantation Failure: Definition and Management. RBM Online, 28 (1):14 – 38, 2014. Clinical Characteristics of Women with Recurrent Implantation Failure. Polycystic Ovarian Syndrome. Clinical Infertility and Assisted Reproduction. Ovarian stimulation for PCO patients. Ovarian Stimulation. Edited by Mohamed Aboulghar, Botros Rizk.Cambridge University. The safety of clomifene citrate in the absence of ultrasound monitoring facilities. J Obstet Gynaecol, 30, (4):393 -396, 2010. Problem based learning: The subfertile couple. Obstetrics, Gynaecology and Reproductive Medicine: 20, 3, p 87-92, 2010. Obstetrics, Gynaecology and Reproductive Medicine, Vol 19, 2010. Vaginal cytology following primary hysterectomy for cervical cancer: is it useful? What are the implications for the next delivery in primigravidae who have an elective caesarean section for breech presentation?